Nishantha and Kumara are men who go deep sea fishing off the coast of Weligama . They asked for some protection from the elements when they spend days out at sea. Most of the fish are dried and salted on board before they return to the Weligama harbour. They have lost friends and relatives who have never returned from such fishing trips – accepted by them as a part of life and the dangers of such an occupation. Nishaji is the daughter of one of them – she is doing her GCE Adv. Level and wants to become a doctor. She communicates with us by skype and will join the AuSLMAT team on our next visit to Sri Lanka . 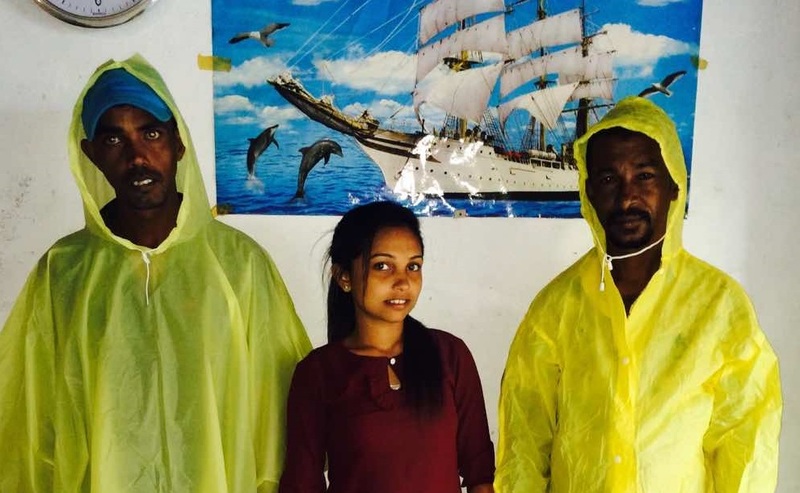 Dr. Dilshani Jayawardena has arranged for a medical clinic at Weligama on Thursday 6th July when we expect to see many of these fishermen and their families. A plaque in memory of the first Methodists is located at the Methodist Church Weligama and reads “ Revds. George Erskine and William Ault – two of the first Weslyan Missionaries to Asia landed on this beach on Thursday 30th June 1814.